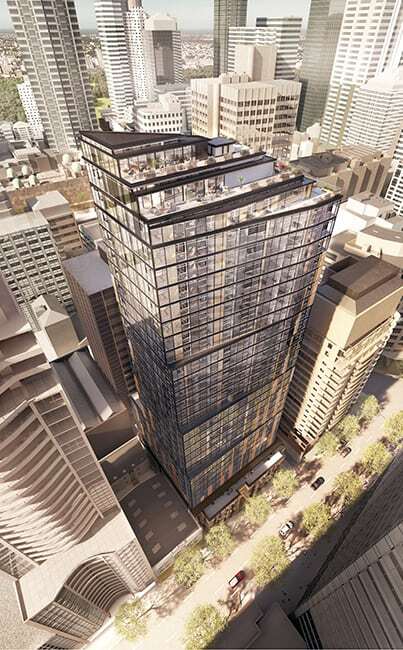 Nestled in the heart of Sydney’s central business district, Meriton Suites in Sussex Street is a luxurious accommodation option that gives you easy access to some of Sydney’s best shopping, dining, and attractions. As you wander down the street and admire the gorgeous heritage buildings, you’ll notice that the newly-developed Barangaroo wharf, SEA LIFE Sydney Aquarium and Cockle Bay Wharf are close by. To the east lies Hyde Park and Cook + Phillip Pool if you’re looking to get active, while the close walk to Town Hall Station and George St make travelling around Sydney incredibly easy. There’s an event on every month, so you’ll always have something to do! Sussex Street leaves you spoilt for choice with a range of amazing fine dining options and super hip bars. Sepia Restaurant, 201 Sussex St (1 minute walk), If you’re in the mood for fine dining, you can’t go past the Japanese-inspired degustation on offer at Sepia. The menu is heavily focussed on Australia’s fresh seafood so you’ll be enjoying treats like “Saikou salmon with smoked roe, sudachi, and marigold” and “Chargrilled David Blackmore wagyu zabuton with dashi rice and shungiku tempura”. Belle’s Hot Chicken, 5/33 Barangaroo Avenue (10 minute walk), On the other hand, if you’re not afraid to get your hands dirty, then a healthy serving of Belle’s Hot Chicken is in order. This American-style diner serves all your favourite Southern comfort foods, as well as their famous fried chicken which ranges Medium and Hot to Really Hot and Really Freakin’ Hot! Alpha Greek, 238 Castlereagh St (10 minute walk), From Japan to America, your palate can now take a trip to Greece. This family-run restaurant serves up authentic Greek cuisine with hearty serving sizes to match. You can’t go wrong with anything on the menu but while you’re here, you might as well treat yourself to their mouthwatering Greek Spiced Lamb Shoulder with Lemon Roasted Potatoes and Tzatziki. The Baxter Inn, 152-156 Clarence St (3 minute walk), Make your way down to The Baxter Inn – a dimly-lit speakeasy that hides a collection of over 800 whiskies served by moustachioed bartenders. You’re spoilt for choice with a collection that spans Japan, Australia, the Highlands, Lowlands, and every island in between. Take advantage of your close proximity to George Street, Barangaroo and Pitt Street and indulge in a little retail therapy. Queen Victoria Building, George St (5 minute walk) , From fashion and antique jewellery, to chocolate and electronics, the iconic QVB is a bustling building filled with five levels of boutiques and artisanal crafts. Barangaroo, Hickson Road (10 minute walk) , Get lost in the laneways of Barangaroo’s southern precinct and browse a collection of local and international wares with brands like Belancé, Title, and Somedays. Pitt Street Mall, 182 Pitt St, (10 minute walk), Of course, no visit to Sydney is complete with a trip down the famous Pitt Street. This wide avenue is home to well-known brands like Zara, Sephora, and H&M, but don’t forget to check out the street performers as well! 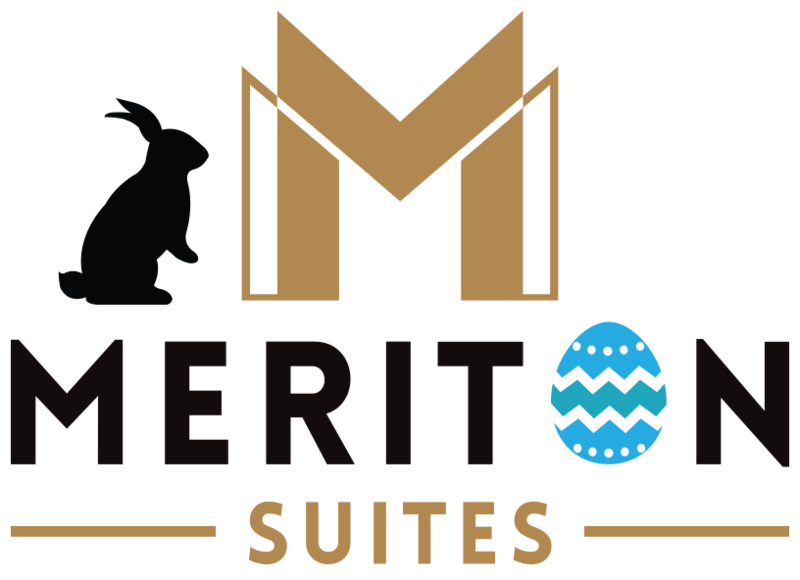 Journey: A 30-40 minute trip from Sydney Airport (Domestic) to Meriton Suites Sussex Street. Journey: A 20-30 minute trip from Sydney Airport (Domestic) to Meriton Suites Sussex Street. Journey: A 10-15 minute trip from Sydney Airport (Domestic) to Town Hall Station, then an eight minute walk to Meriton Suites Sussex Street.